By working closely with one of our Qualified Property Investment Advisors, Andrew and Tabetha have had a Strategic Property Investment Plan designed which allows for them to acquire 7 properties over the next 11 years. 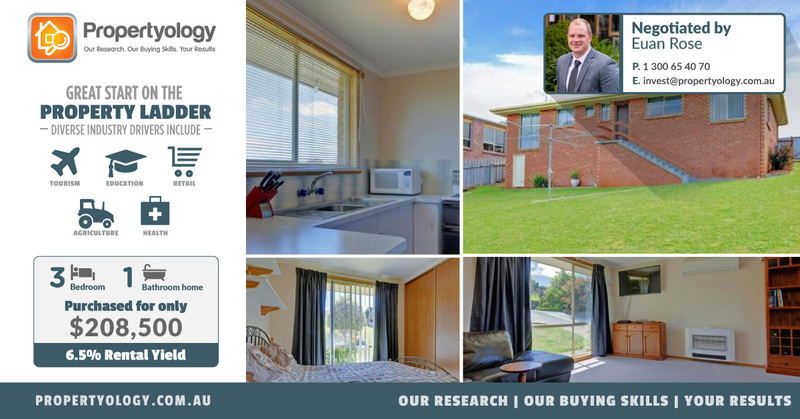 As far as first time investing goes, it doesn’t get much better than this very affordable low maintenance property. Euan Rose joined the Propertyology Team as a Buyer's Agent in August 2015. Euan is an exceptionally talented professional who is always prepared to do whatever it takes. Euan has a Masters Degree in Strength & Conditioning, and has held senior project management roles across various industries. Organised, Smooth, Pain Free Property Buying.